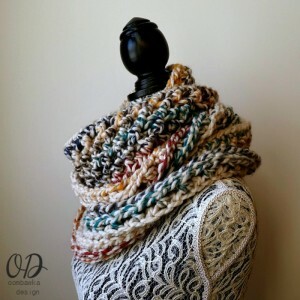 You are here: Home / Free Crochet Patterns / My Free Patterns / Crochet Patterns for Scarves and Cowls / February Elemental Infinity Scarf – Scarf of the Month Club! 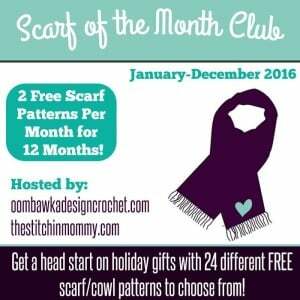 Welcome to The Scarf a Month Club! 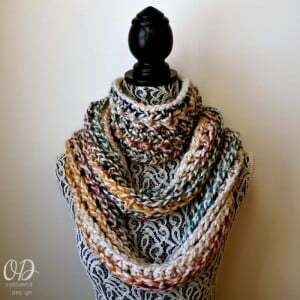 Remember you can join our Facebook Group, Crochet With Us and share your progress, ask questions and get help! 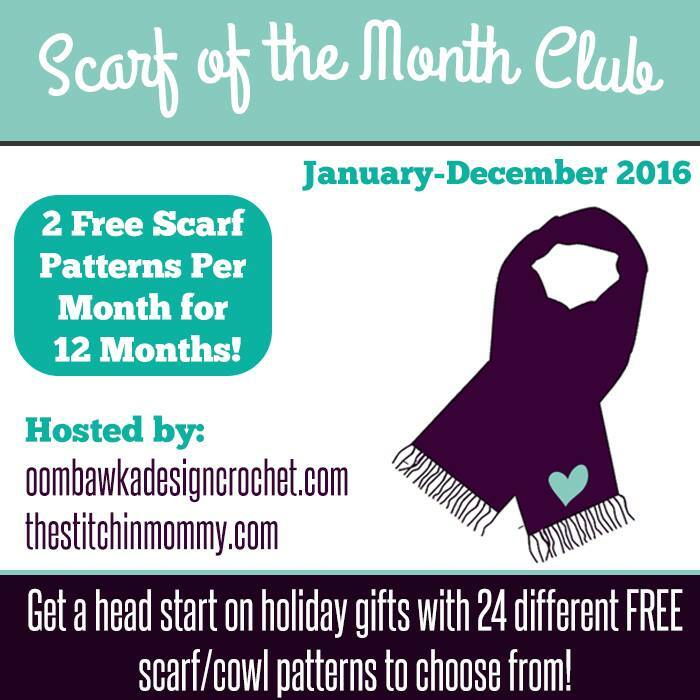 We have also set up this #hashtag to use on Instagram – so if you love to share on Instagram share your projects by tagging us @amyramnarine and/or @oombawkadesign and use the hashtag #ScarfoftheMonthClub! 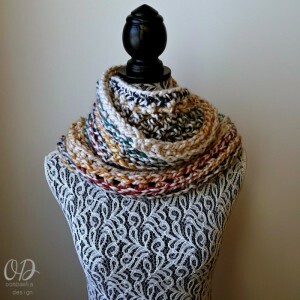 Remember if you share on Instagram use #ScarfoftheMonthClub! so we can take a look too! 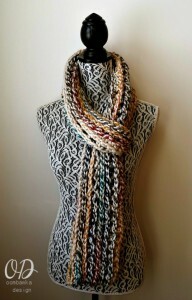 This is a #6 Super Bulky yarn. 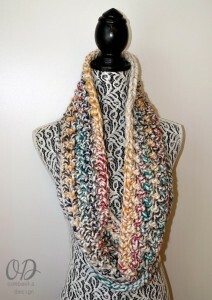 5 oz/140 g; 87 yd/80 m. The Infinity Scarf used 160 m.
Slip stitches do not count as stitches unless specified. Ch 2 will count as 1 hdc. This means you do not work into the base of it – because the ch 2 is the stitch. Take your 7 inch tail of yarn and your yarn needle and neatly close the small gap at the beginning and end of R1. 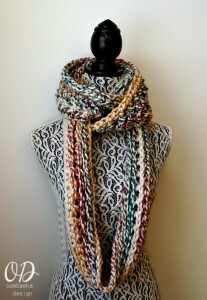 I worked whip-stitches in the back of the stitches, finished off and weaved in the end securely. R7: Rep R4, finish off with an invisible join. 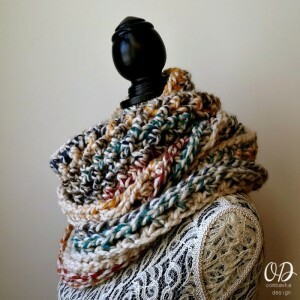 Weave in any ends. I am not finding your example of crocheting in the third loop. Can you send me the correct link or explain what you mean? Thank you!!! I got it to work now with just the hdc, but I had to go back and turn over one of the loops…so there is something about the way I’m putting them together that twists it I think. Is that possible? Anyway, I needed the confidence you provided and am now about to start R4. Thanks again! Hello! I’m confused as to how to join the ends of my starting chain. This is my first project, and I already had to rip out the whole first row because the foundation chain was on the top at one end and the bottom at the other end. I checked so many times for twists, but I think I misunderstood how to join. Do I chain two in this case? And do I skip the first back bump? Am I supposed to slip stitch first and then chain two and skip the first bump? If so, how do you know which way to insert your hook in that first stich to get thhe slip stitch the correct way? 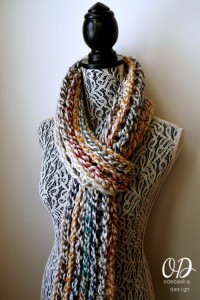 I originally did a hdc in the back bump right away, and that’s when I had to undo everything. Forgive my ignorance! Any help would be great. 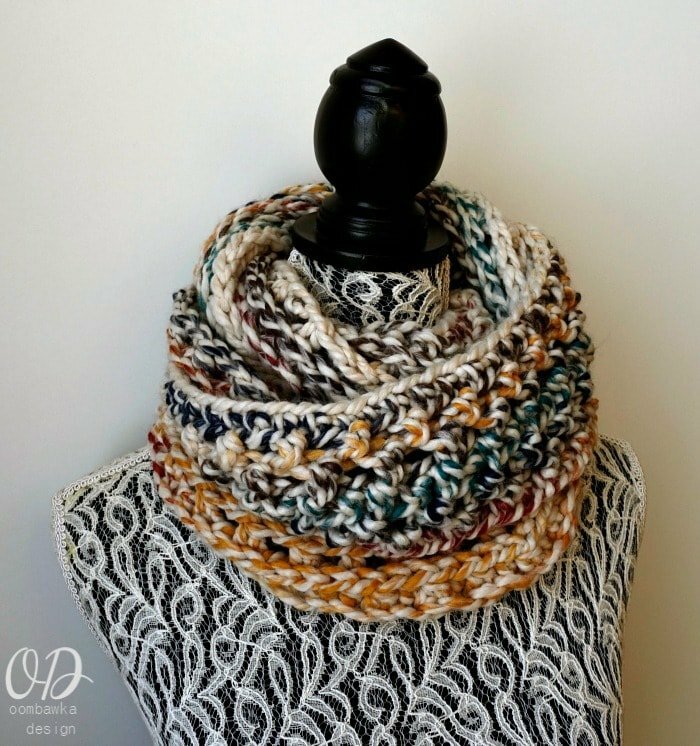 What does it mean to crochet into the third loop of the hdc? Is that just the top of the hdc? Under both loops? Thank you! Almost done with January and will start Feb tomorrow.